Think before you leap. Well, who doesn’t know that, isn’t it? However, sometimes we do falter. One such instance in this regard would be to want back a job offer you had once declined. Well, if not many there are a few professionals who kind of regret after having rejected a job offer. They desperately wish for some magical change of events, where they could mend their own decisions and get back that interview offer once again. No matter what you think or expect, the point is, how feasible it is to earn an already declined offer? To be honest, yes, it is difficult. And there are plenty of valid reasons that make it a little complicated. What is there in the mind of the employer? Rejections are hurting. Be it an applicant who was denied the job offer, or an employer whose offer got rejected by a potential employee. Both are discouraging and painful. The employer who had offered you a position was perhaps a little offended to have received a rejection from your side. However, now that he/she comes across a clarification from your side, where you are requesting to have the same offer back, it makes them go a little skeptical about the situation. Some may feel that the candidate is immature and impulsive. You may also be viewed as someone not very steady and confident regarding your own decisions. And the rest can say that you do not possess clear career goals and professional targets. Whatever may be their line of thought, any of these traits are not desired by employers. So, in such a situation, convincing them to see you as one of the most suitable candidates and a great employee to hire is evidently a tough job to accomplish. If it took you more than a week’s time to learn that you have just made a wrong decision, you can consider the job gone forever. 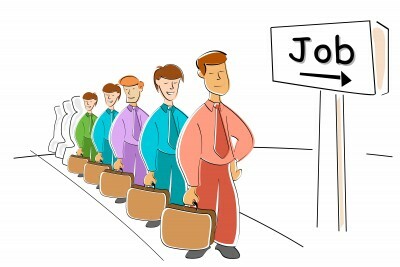 Well, all of us are aware about the growing competition in the job market. Thousands of candidates line up to interview for a single position. In such a situation, if you just let go an offer that came your way, it can be easily grabbed by others. Therefore, being prompt at informing your change of mind is crucial. It’s like a now or never situation. 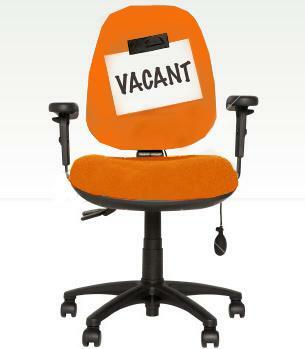 And if you’re lucky to know that the position is still vacant, you may work it out and perhaps land the job as well. I say both. The situation is so critical that relying only on one of the approaches will perhaps not yield results. Make a personal call to the hiring manager and explain the change of situations that is helping you to rethink about the offer. Also inform that you have perhaps dropped an email for their consideration. 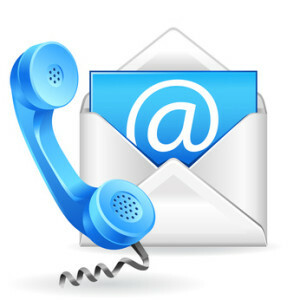 There should not be a long span between the email you have sent and the call to be made. In fact, things should be almost simultaneous. This is because if the recruiter was to receive the mail and not a call instantly, it could be considered as another immature act. Worse, he/she could even skip, and ignore the mail completely. Conversely, if you have already informed that a mail will follow the conversation over the phone, the person may check the in-box almost immediately. An absence of your mail or a long delay in receiving it can be annoying for the hirer. You may get rejected even when the job is still available or the position continues to be vacant. Don’t just start narrating your stories of why you had rejected the offer and what made you reconsider the same now. Before all that, just know if the position is still open. Only when you know that the company has not made its hiring decision; you can go ahead. Now, there’s one more thing you need to consider. Were you grateful enough, while rejecting the job offer? For if you were too rude and unprofessional; knocking the doors will not make any difference. So it’s better you don’t try it. Well, if you had the right behavior, then, you can still try your stars. First, try to know if it was a preferable time to talk as it could involve a couple of minutes. Second, state your reasons why you were unable to accept the offer then. Don’t give reasons such as salary or company profile. It may appear that you have too high expectations that were still not met and perhaps a desirable profile will have you quit almost instantly. Third, explain how things have changed now and you are more than happy to at least try in getting back that offer. Lastly, don’t sound too desperate to work things out. Don’t portray yourself as someone who needs to get hired at any cost. This may make your employers doubt your employable quotient. Be patient and wait for things to take their own course of time. If it has to be, it will, eventually. So don’t haste unnecessarily. Therefore, as a concluding note, I would like to say that, don’t be in a hurry to say NO. Your words are important. Once said it cannot be unsaid. You can only wish and try to modify the outcome it brought. Thus, holding back before you spell out yes or no shows your wisdom. Nevertheless, if at all you have stuck yourself in such a situation, just get back to this post to determine what and how things could be brought under control. Hoping that you never make wrong career decisions in future, this is all about how you can get back a rejected job offer.